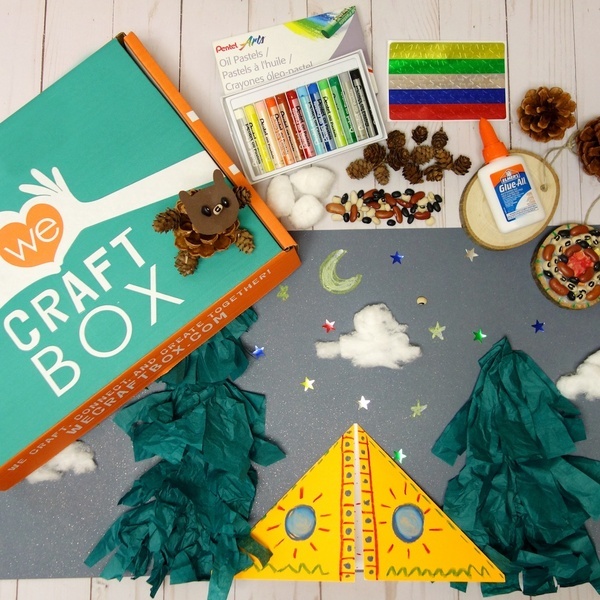 Enter your email address below to receive a notification when We Craft Box starts accepting new sign-ups! 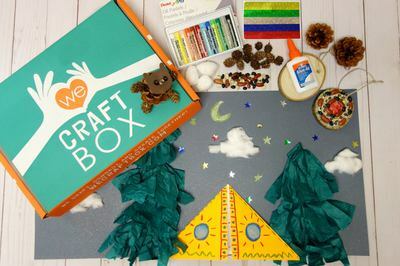 Enter your email address below to receive a notification when We Craft Box is accepting new sign-ups again. 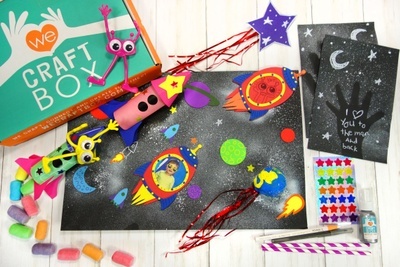 Use code GETCRAFTY5 at checkout to get $5 off your first order! 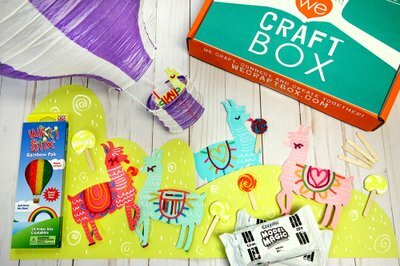 Order for your little crafter today! Shipping out on May 1st. All subscriptions come with a printable card! 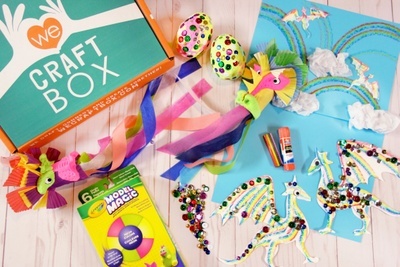 Order your May Box and get a Printable Card! Next Shipment is May 1st! Send as a gift! 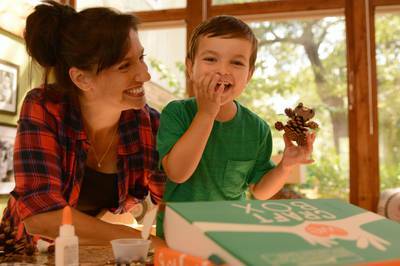 The first gift box is delivered with a personal message from you! 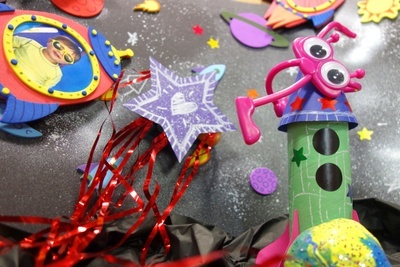 All materials included (except for scissors) and can be shared between 2 children! 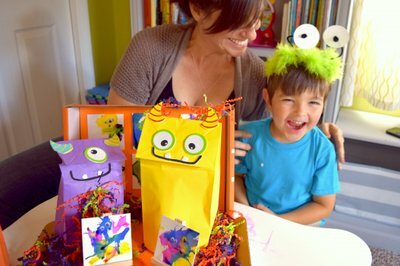 Creative, imaginative, and artistic activities for the family - the gift that keeps on give all year long! The boxes come packed with a fun themed craft! I really enjoyed them. My 7 year old son loved our 1st box. 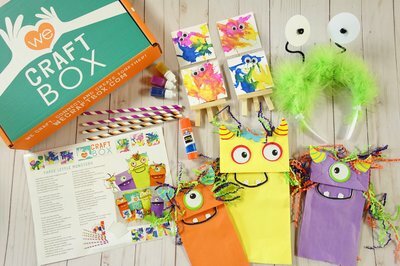 We got our box yesterday and there are so many crafts in it to complete we had to take a break and just do one or two a day which is wonderful for us because it lasts longer and gives us more quality time together. They are good quality crafts too. We got butterflies and dragonflies and this neat garden to make and he just loves it. 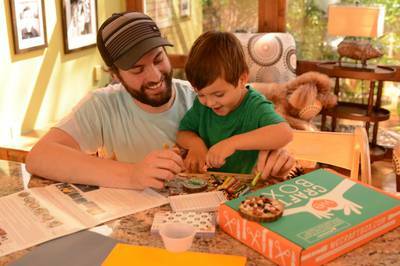 We both look forward to craft time everyday. 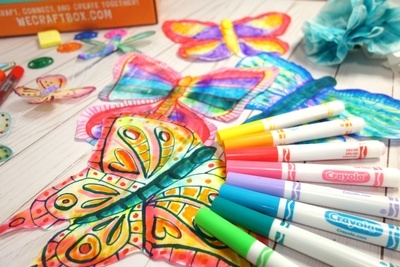 The watercolor technique is really cool and we can apply it to other arts and crafts we will do. 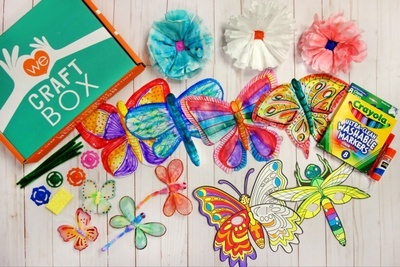 So not only are we getting a box full of multiple high quality supplies for crafts but we get to learn new skills. 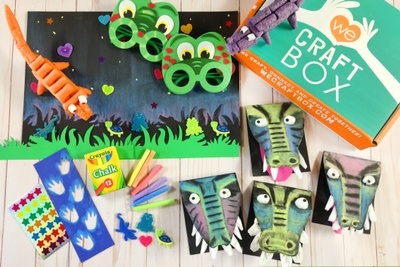 LOVE THIS BOX!! 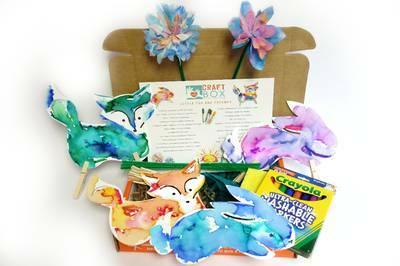 Bought these for my granddaughter and she loves the boxes, she can do most of the crafts herself because the instructions and pictures are amazing, she just turned 6 and this makes her so happy! 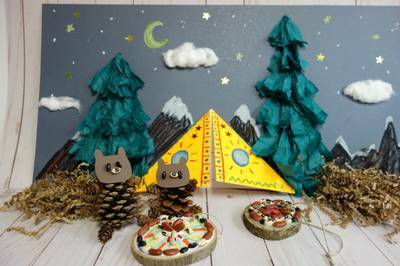 2 pine cone bears, 2 fireside ornaments and the great outdoors diorama setting with camping tent, trees and stary night sky. 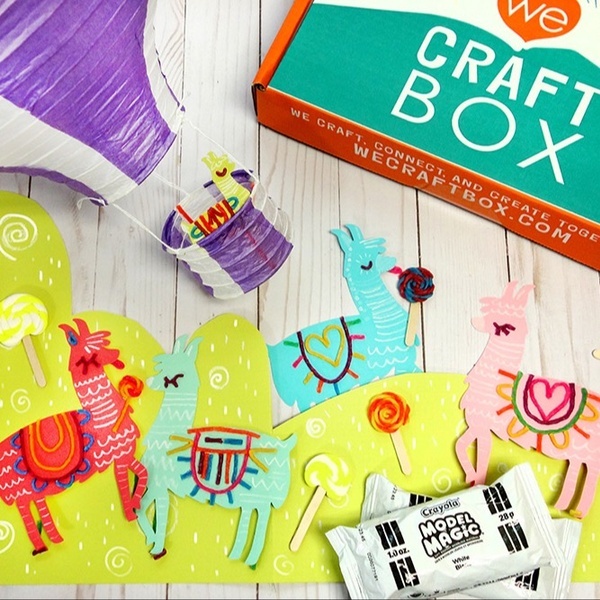 4 happy llamas, several lollipops, assembling a hot air balloon and put it all together by creating the Lollipop hills diorama. 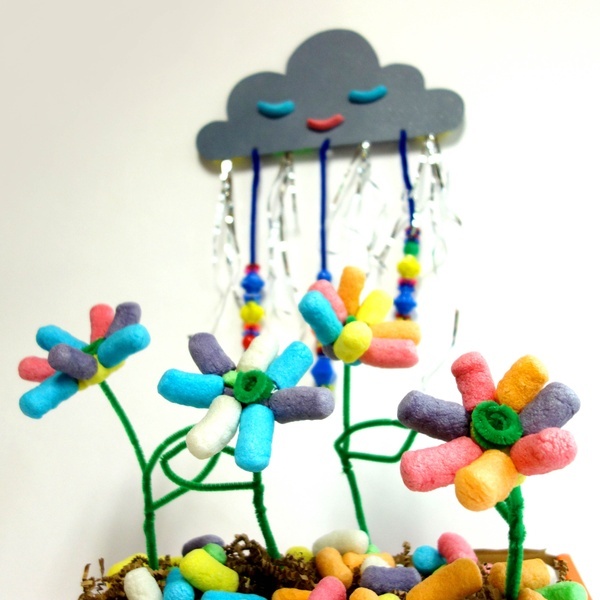 In this box your crafters create 2 rainbow daisy flower gardens and 2 happy rainclouds.